The is a Slumber Sleep Oxford bunk bed open coil spring mattress is manufactured to the highest of standards using premium open coil springs. Its high quality components give extra support for the neck and back and a premium grade frame offer real durability and comfort. The Oxford bunk bed mattress is finished in a high quality tufted damask fabric and the decorative sewn covering gives a much more attractive finish. Soft firmness rating. 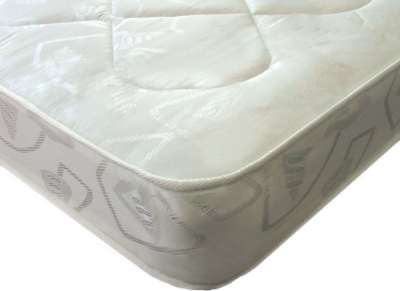 Bunk Bed Mattress Safety Tip: Always check the maximum mattress height specified by the bunk bed manufacture the mattress is being purchased for use with. Mattress Thickness: 7 inches (approximate).